I-PIX A6 Smartphone Housing for iPhone 6. 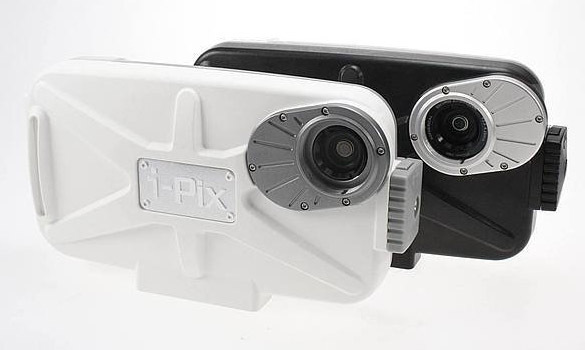 The i-Pix A6 is a purpose-built underwater smartphone housing for the iPhone 6, designed and developed for the abuses of water sports. This is no basic case, the i-Pix A6 is a multi-featured housing specifically made to optimize photo and video capabilities for those who have traded their digital cameras for the simplicity of their smart phone. This housing protects your phone in up to 40 meters underwater. For DiveCam Application to run properly, the Display Settings on your I-Phone must be set to the Standard Setting. This can be accessed by nagivating to the Settings Menu, select Display & Brightness, scroll down to the bottom. Under the heading Display View select Standard option. Selecting Zoom option will force the DiveCam Application to run in compatability mode and will display the same as IPhone 5.